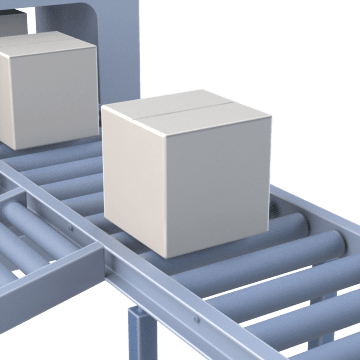 Also known as roller gravity conveyors, these conveyors create a level, rigid surface area that makes them better than skate wheel conveyors for high capacity transport of flat, firm bottom items such as boxes and totes. They have a rigid frame that allows you to configure the exact conveyor system you need for your facility. Pair the conveyor sections with compatible permanent mount H-stand or portable tripod T-stand. 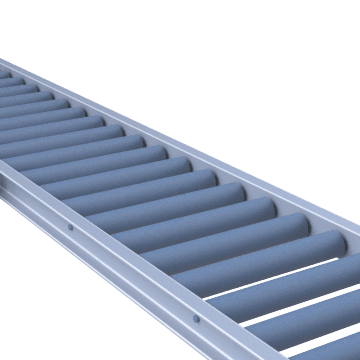 Choose a conveyor with roller spacing so that your items will have at least 3 rollers beneath them at any given time.